The renewed sponsorship deal with luxury Swiss watchmaker Rolex has been proclaimed by the International Tennis Federation(ITF) and Kosmos Tennis for both, the Davis Cup by BNP Qualifiers and Davis Cup by BNP Paribas Finals. The eternal union between tennis and Rolex dates back to 1978 when Rolex became the Official Timekeeper of The Championships at Wimbledon. Even today, the bond between the two mascots is stronger like before and the new alliance has marked a confirmation stamp on their strength. Undoubtedly, Rolex is a major force behind tennis’ finest events, players and organisations. Rolex has cultivated a privileged relationship with this great sport from Grand Slams to Davis Cup and for many of the top tennis stars. David Haggerty, ITF President proudly remarked while showing gratitude at the resumption of the partnership with Rolex. He said that Rolex carries a significant position in tennis, as Rolex has stood firm with tennis in all kinds of weathers. The symbolic Rolex brand was noticeable throughout the Davis Cup Qualifiers, played in twelve various lands worldwide, in the past few weeks, and also throughout the Davis Cup Finals in Madrid in November 2018. CEO of Kosmos Tennis,Javier Alonso’s words depicted much excitement at the renewal of partnership as he seemed to be pinning hopes on an even more close relationship with Rolex in pursuit of excellence across the global markets to ensure a deeper impact. Arnaud Boetsch, Communication & Image Director of Rolex, asserted on the paramount importance of the Davis Cup for the sport of tennis with both sharing a rich legacy dating back to the beginning of 20th Century. 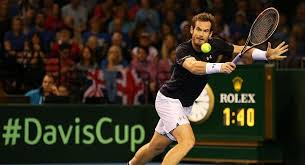 He mentioned that the Davis Cup has won the credit of carrying out magnificent matches in the history of tennis and manifests every aspect that one loves about the sport.